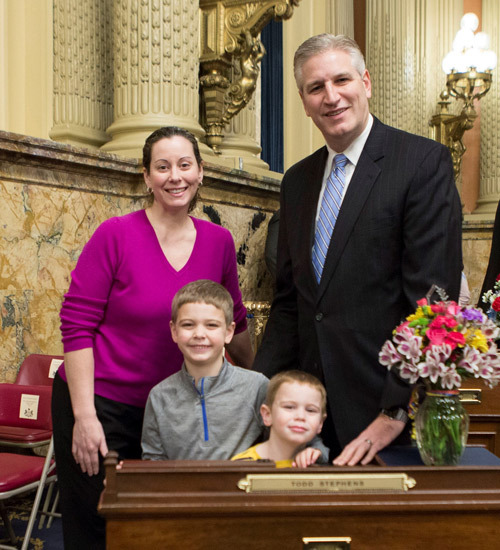 I’m proud to announce that this week I was sworn in to my fifth term in the Pennsylvania House of Representatives, and I look forward to serving the people of the 151st District, and to fight for their health and well-being. I will continue fighting to hold the federal government accountable for cleaning local drinking water from the contaminants known as PFAS, which leached into local water system from the Willow Grove Naval Air Station. While the federal government is responsible for the contamination, local ratepayers and taxpayers have been bearing the costs to remove these harmful contaminants from our public drinking water. I also want the federal government to provide medical testing for residents who used the drinking water and to follow up with biomedical studies and care. These environmental and drinking water issues have also delayed the redevelopment of the former military installation preventing the land from returning to productive use, which has cost the Commonwealth tax revenue and job opportunities. Follow me throughout the term on my website at RepToddStephens.com and on Facebook at Facebook.com/RepToddStephens. My district office is at 515 Stump Road in North Wales and may be reached by calling 215-368-5165. Under the new law, any individual convicted of his or her third DUI with a BAC of 0.16 or higher could be found guilty of a felony offense. To further support these life-saving services, another new law, Act 103 of 2018, requires both private insurers and Medicaid to reimburse for treatment provided regardless of whether transport takes place. This is a common occurrence with patients suffering with diabetes as well as for drug overdose call. If you’re participating in or attending the Farm Show, take your camera or phone along and snap some photos. You can share your memories and photos on my Facebook page. And when you’re posting the photos, don’t forget to insert the hashtag #PAFS19.